When I write here, I am almost always writing about entertainment content and rarely about news content. But analyzing the news is what I do in my desk job, and we’re all lying when we say the news isn’t entertainment anyway. Information is entertainment. If you follow me on Twitter, you know I am rather engaged with this Ebola story. Because news content in general behaves in a viral way (stories spread from nodes of information), it’s particularly interesting in an abstract, science-driven way when the news content is actually about a virus. But quite outside of that very academic, numbers-driven interest, I’ve noticed something else: The emergence of the “good victim” in the Ebola narrative. Since Ebola arrived in the U.S. (which was always going to happen the second it reached a major city anywhere in the world in significant numbers), the media has become very interested in telling us how well-liked, church-going, or family oriented individuals who have been infected who get media coverage are. They assure us the first nurse in Dallas to get infected “did all the right things.” They show us cute pictures of her with her dog. Meanwhile, the second nurse, and the original man diagnosed with the disease here get a lot less coverage. They are blamed for travel, although they either did not have symptoms at the time and/or were given the go ahead by CDC employees. No cute family stories or dog pictures for them, nope. Little coverage on how the man helped a dying pregnant woman who may have been the source of his infection (and whom he may have not known was infected). There’s a clear racial component in this. The African and African-American victims in the U.S. have received less overall coverage and more critical coverage when visible, much like the thousands of people dealing with the disease in western Africa itself. The “good victim” narrative also interests me, because it — much like every overheard discussion on the New York City subway system for the last week — recalls the early days of the AIDS plague years. Then there were “innocent” victims who were such heroes because this never should have happened to them. They were largely straight, white, female, and young. AIDS should never happen to anyone. Neither should Ebola. And yet they do. And the good and bad victim narratives — which I thought might be avoided this time around because of no overwhelming focus on a sexual component of the disease — is incredibly dangerous because you can’t stop an epidemic when you only care about protecting some people from it. Case in point? AIDS rates amongst blacks in the U.S. and AIDS rates in Africa. For lots of people the epidemic hasn’t gone anywhere but on and on and on. And how we talk about people with AIDS is part of how that has happened. We’ve never had the same urgency for everyone. And it’s resulted in a lot of deaths. It is reasonable and wise for the news media to use personalization to cover Ebola. People often connect to stories better when they can engage with them as they affect singular individuals. But coverage that suggests only some people deserve that personalization increases danger, both from the epidemic itself, and from the hideous fear-based non-solutions that people start shouting about when there are “good” and “bad” victims of a disease. Travel bans, camps, euthanasia. We’ve heard all that and more out of politicians’ mouths in the last week. For those of you who weren’t there, we heard the same things in the 80s about AIDS. 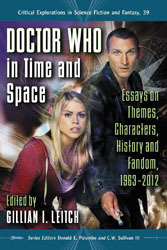 We even made miniseries about some of those ideas. And that they were talked about so seriously, that they were so terrifying to me in my childhood, is why I name none of the people diagnosed with Ebola in the U.S. here. I’m not a news source and I don’t wish to contribute to risks they face from stigmatization of those with Ebola (although I also acknowledge that not naming names may actually increase stigma; it’s a hard choice). But clearly, that cautionary entertainment in the 1980s (and fictional media about epidemics is entertainment no matter how cautionary, just as news is entertainment no matter how fictional) has taught us nothing. A recent spate of period pieces about the plague years haven’t reminded us of past mistakes either. Instead, we’ve got a media banking on fear and an overly frightened American populace being taught that only some people don’t deserve to get sick (being female, light-skinned, and godly seem to help individuals get placed in this category), and that it’s perfectly fine to ignore everyone else. Even if it’s a lie, and even if that act of ignoring is what helps epidemics spread. While it’s likely there will be no further transmissions in the U.S. from this set of cases, and despite all sorts of actions being taken out of an “abundance of caution” — some of which have made no sense at all; can we really sustain national panic attacks over every case of morning sickness or food poisoning? — it’s fairly likely that another case will show up in the U.S. because of the current nature of global travel and the incubation period. So right now, the news media needs to make the choice to be one of the tools that helps to contain Ebola in America and globally. Dispensing with “good victim” rhetoric is a key part of that. 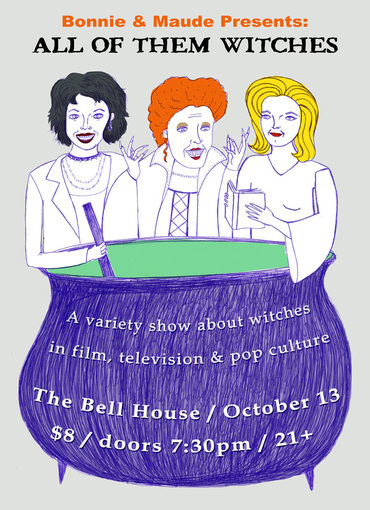 This coming Monday, I’ll be one of the presenters at BONNIE & MAUDE PRESENTS: ALL OF THEM WITCHES, a live podcast recording and variety show at The Bell House in Brooklyn. I’ll be talking about American Horror Story: Coven and what is has to say about notorious women, witchcraft and fame. (Hint: Fame is the worst). The event has gotten some press on Gothamist and other high-traffic sites, so I do recommend getting advance tickets. While this is not at all a book event for me, I will have a couple of copies of Starling on hand in case anyone wants to grab one after. If there’s something else from my catalog you want, please drop a comment here so I know to bring it with me. “All Of Them Witches” is the third in a series of live variety shows by Kseniya Yarosh & Eleanor Kagan, the hosts of the Brooklyn-based film podcast, Bonnie & Maude. Sure to boil the blood and alight the brain, join us for an exploration of witches as seen in movies, television, and pop culture. From green-skinned, be-broomstick’d villains to benevolent sources of high female power, from goddesses of nature to Satan-worshippers, to actual practitioners of Wicca…celluloid representations of witches are contradictory, to say the least. Scholars, artists, and film enthusiasts from all walks of life will toil up some trouble, and revisit favorite on-screen moments of witchcraft in Bewitched,Buffy, The Craft, Hocus Pocus, Black Sunday, Suspiria, Rosemary’s Baby, and more. Music throughout the show will be performed by Brooklyn-based chamber pop singer AK, and the 8-piece, all-female a cappella group Femme Rhythm. In 2012, the thing that most excited me about the then forthcoming film of The Hunger Games was the associated product tie-in advertising campaigns. This year, with the release of Catching Fire (which is as compelling as the first film while being a lot more emotionally brutal), I’m stuck on the advertising once again. A Cover Girl makeup collection with much higher visibility, than the makeup tie-ins of 2012 doesn’t surprise me in the least. Nor does the luxury chocolate collection. Sure, they’re uncomfortable, but affection for and playing at movie magic villainy is nothing new. It’s just that the intense consumerism and reality TV horror strikes a little closer to home in the holiday shopping season and an economic climate that has been rough for a long time now. What’s perhaps most surprising, however, is the Subway sandwiches tie-in, because while the other product connections arguably position the consumer as part of the wealthy and elite in the Capitol (regardless of what you think of the aspirational quality of Cover Girl as a brand), the Subway promotion explicitly positions the consumer as the resident of a District. While the book series tells us some in the Districts live well and have enough to eat, the District narrative as we are exposed to it is largely one of struggle, starvation, injustice, exploitation, and poverty. The Games are part of an abusive system that kills District children and also holds out that political ritual as a ticket to a better individual and collective life. Everything about the Subway campaign is fascinating, however, in its sheer audacity, and at times, something that I think resembles a deeply unpleasant honesty. That the sandwiches are touted as “What the Victors Eat” makes it clear that we all need fuel for our (possibly life and death) struggles to survive. That’s grim enough, but that we’re supposed to be eager to participate in the restaurant-based game through which we can win our own “victory tour” is bizarre, considering how well that works out for Katniss and Peeta and the fact that Victory Tours in the book are about death and, traditionally, insincere mourning as a form of control. That the promotion also seeks to raise money to Feeding America (by going to a Subway location, taking a photo of their Catching Fire-related promotions, and tweeting it to get Subway to “help donate a meal”) in a way where the effort/reward ratio seems unfortunate at best, also screams particularly loudly of the Capitol and coerced collaboration. While I don’t think engaging with and enjoying marketing is innately evil even when playing at villainy, or that luxury chocolates, makeup, and unsettlingly marketed sandwiches are our biggest problems, I do think that there are ways to play in the space of The Hunger Games series that do a lot more good than tweeting photos of Subway sandwich posters. These ways include the Odds in Our Favor and We Are the Districts programs from The Harry Potter Alliance. However, if anyone ever happens to see any industry press on how decisions were made in putting that Subway campaign together, please send it my way. I’m desperately curious about the audacity vs. didn’t actually read the books/see the movies ratio.